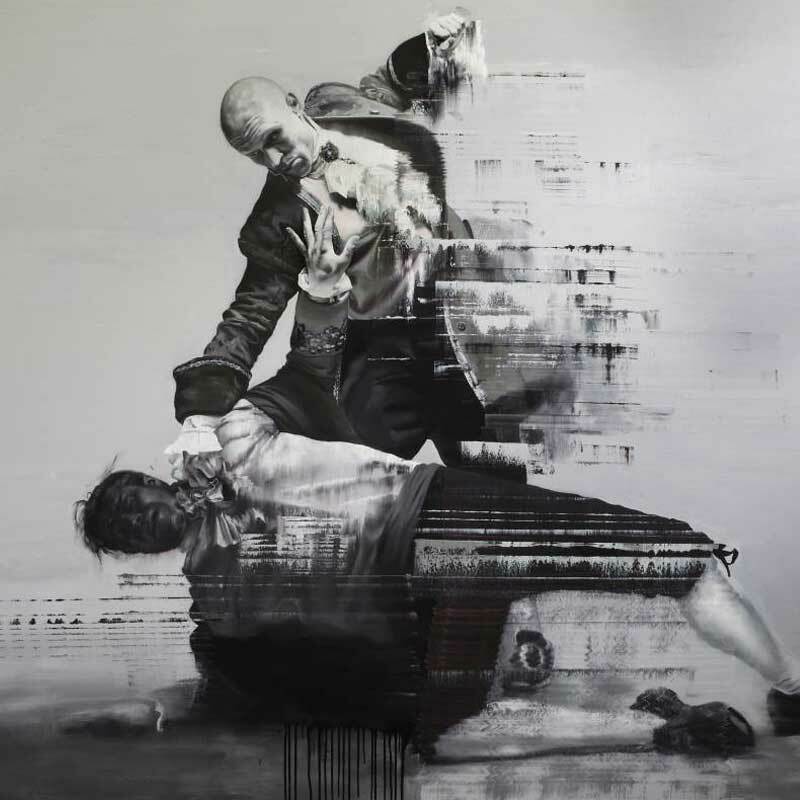 Conor Harrington’s work draws a fine line between classical and contemporary art, and then somehow creates a world within those boundaries. 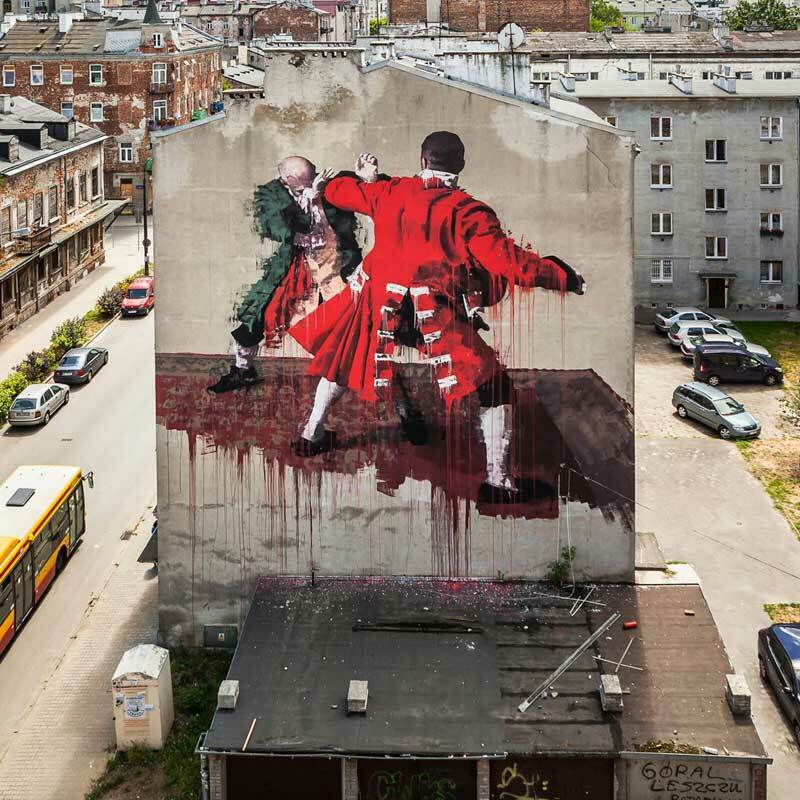 The Irish-born Harrington, a former graffiti artist, not only paints huge outdoor murals but consistently pushes art’s boundaries in new and imaginative ways. 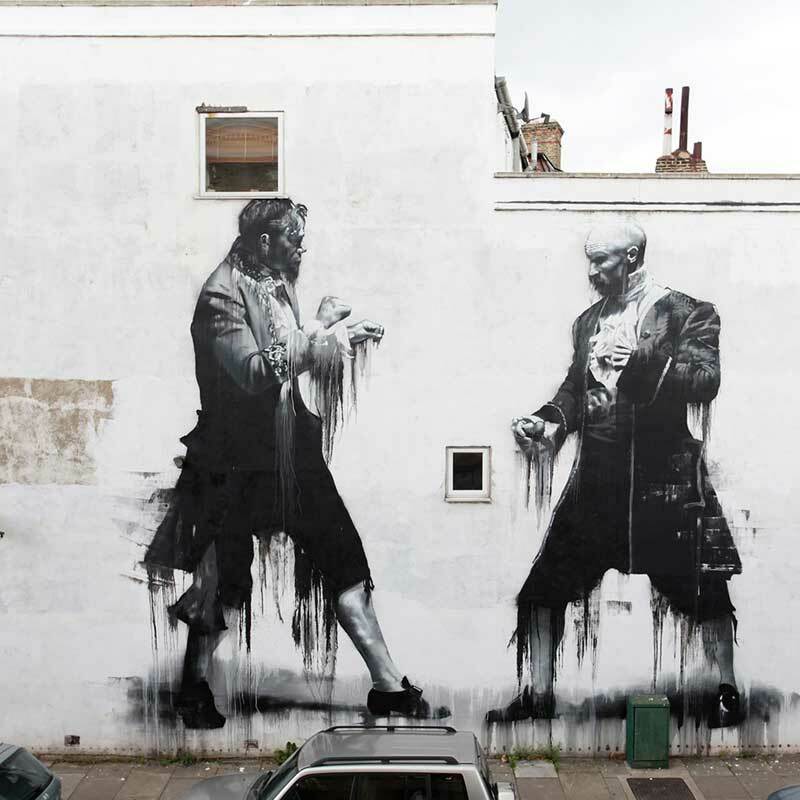 His work utilizes realistic images of people accompanied with abstract elements. His illustrations of the human form are mesmerizing: he skilfully hones in on certain elements while obscuring others through the use of bold line work, superb shading and bursts of color.